The Angler's Ale is Arcadia's flagship beer. 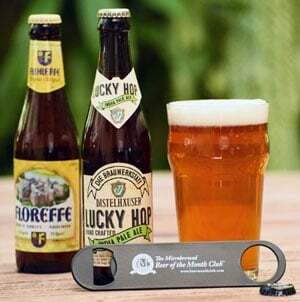 This beer was awarded the Bronze medal in the 1998 World Beer Championship held by the Beverage Institute in Chicago. It is a full-bodied English style Pale Ale, bright copper in color, that uses crisp 2-row pale, crystal, and chocolate malts, which provides for a full, toasted, and complex malt flavor with hints of caramel and butterscotch. Arcadia's head brewer, George "Murf" Murphy, uses premium Goldings and Fuggles hops in this brew to create a sweet and delicate herbal hop finish. Arcadia Brewing Company, located in Battle Creek, MI, was founded by Timothy Suprise in 1996. They are a microbrewery specializing in handcrafted British ales. Their 25-barrel Peter Austin Brick Kettle Brewing system and traditional brewing methods both originated in England. This allows their styles of beer to reflect over 250 years of world class brewing heritage. In addition to brewing on authentic British equipment, Arcadia uses only the finest ingredients from England. The malted barley they use and the Ringwood™ Yeast, from the Ringwood Brewery in England, is then combined with the freshest hops from the Pacific Northwest, which results in some of the best and freshest handcrafted ales you will ever have the pleasure of imbibing. 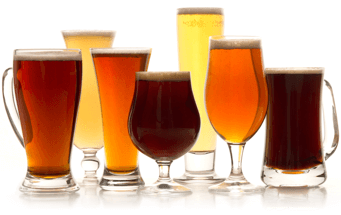 In fact, four of their eight beers have received international recognition with medals and awards. The 1997 Traditional Beer Festival in Edinburgh, Scotland honored the Arcadia ESB as the first American entry and one of the finest cask ales served in their festival. The World Beer Championships of 1998 awarded a Bronze Medal to their Angler's Ale, a Silver medal to the Arcadia Whitsun, and a Gold Medal, with the highest score ever for an American made India Pale Ale, to the Arcadia IPA. Arcadia has received the distinction of the "Best of the Great Lakes Brewery Award" and is one of the finest purveyors of cask conditioned, or Real Ales, in the Midwest. Arcadia also features a restaurant and tavern alongside the brewery. The restaurant features a distinctive and eclectic menu of wood-fired cuisine, prepared exclusively in a unique oven, which cooks the food at temperatures around 750º. This wood-burning oven, their only cooking device, was imported from Naples, Italy. Tours of the brewery are given on Saturday afternoons or by appointment. For more information about the brewery and scheduled tours, call (616) 963-9520 or check out their web site at www.arcadiabrewingcompany.com.